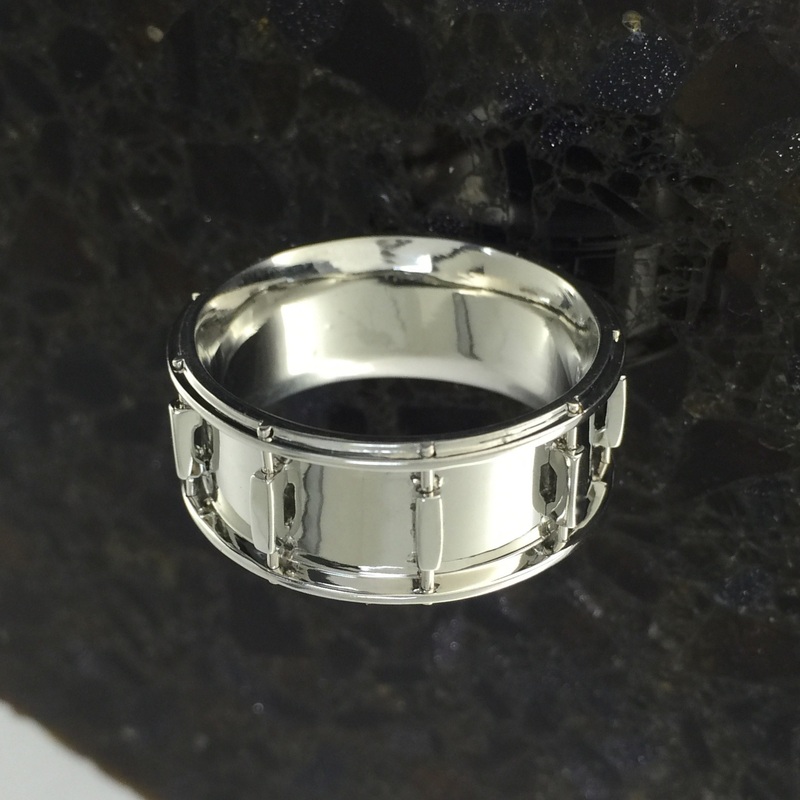 This was an exciting drum ring commission for me. 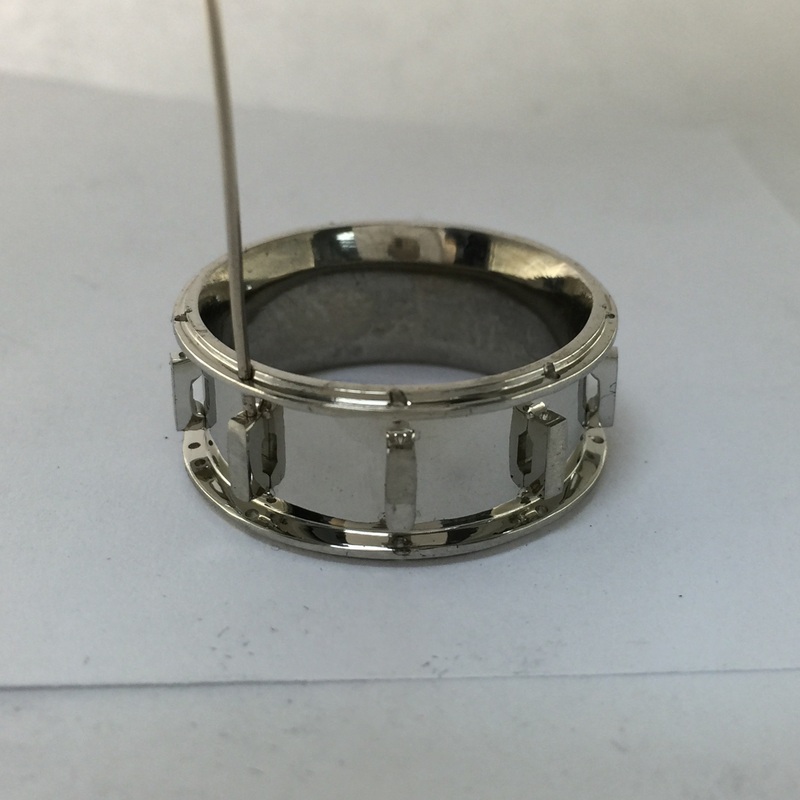 I have been doing custom jewelry for 24 years. 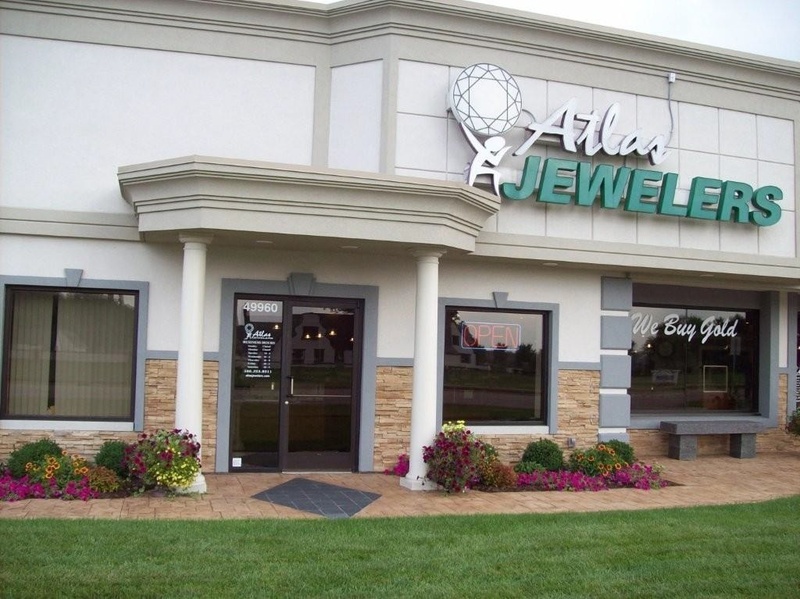 Atlas Jewelers is a trusted part of our community and I am happy and blessed to be creating jewelry here in my town. 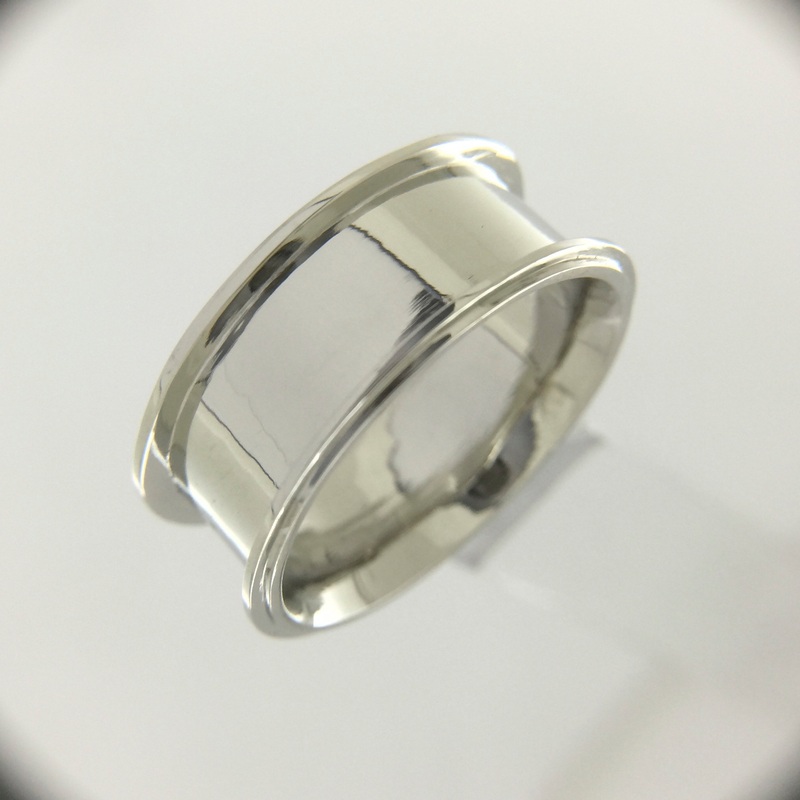 I primarily meet every person that I make a ring for and I get to know them through the process of making them jewelry. But Steve contacted me via the web and was one of my first commissions since the launch of MusicianRings.com, and I probably will never meet him. 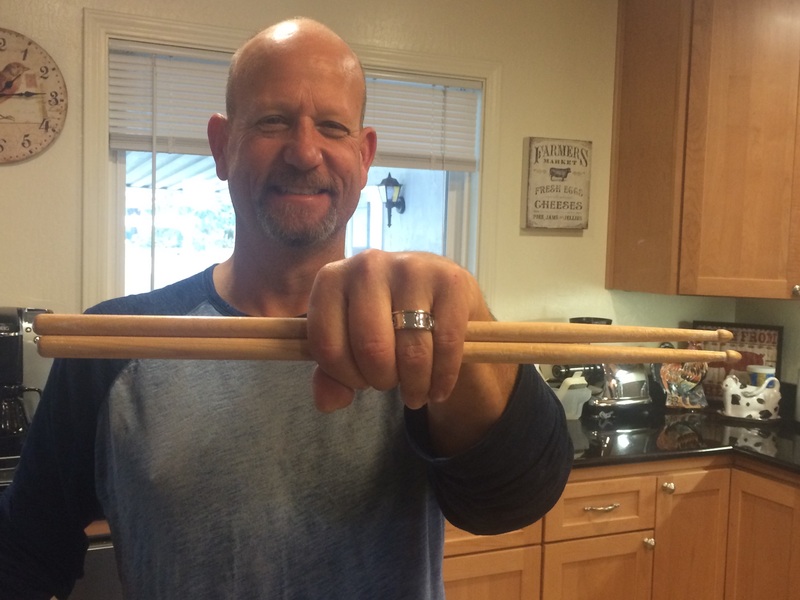 Steve is highly passionate about drumming and was starting a new chapter in his life by getting married. I am thrilled to see that my musician rings, that I love so much, are reaching out so much further than our neighborhood. 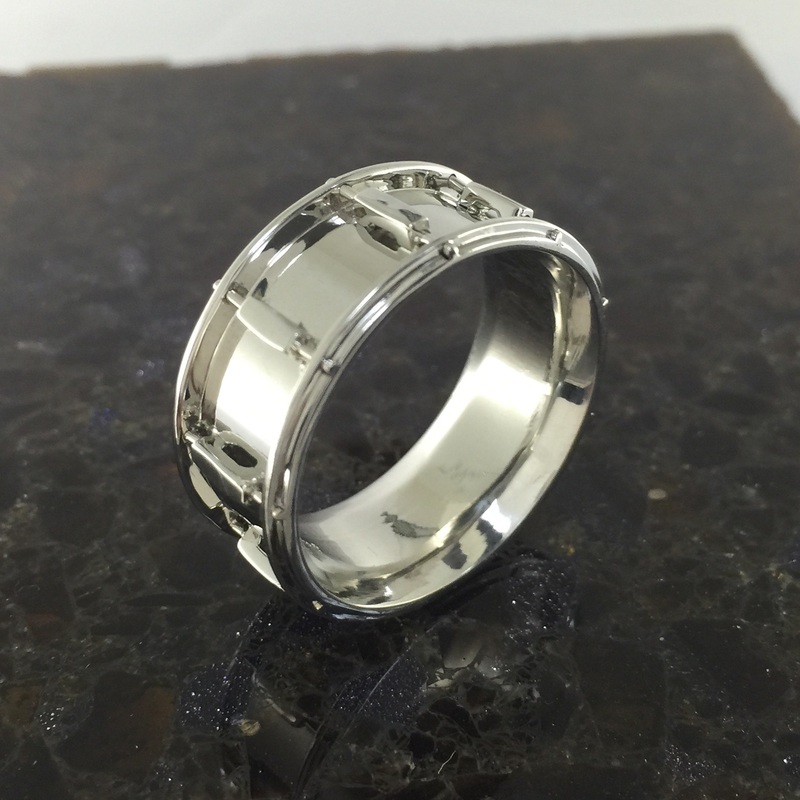 I have since made guitar rings and sent them out to Germany and Australia. Totally mind blowing to me. We discussed the many options and planned out the ring. I carved a wax, what was to become the shell and rims, as one piece and also carved a long bar which would eventually be cut up to be the lugs. 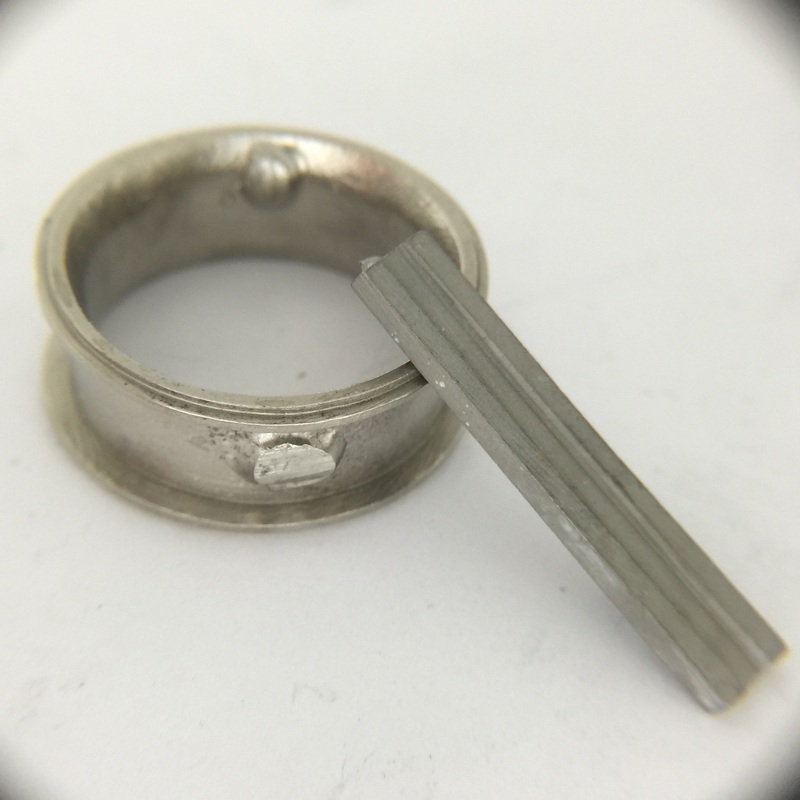 Each was cast in 14K super white gold. I sanded and polished the comfort fit band to a mirror finish. 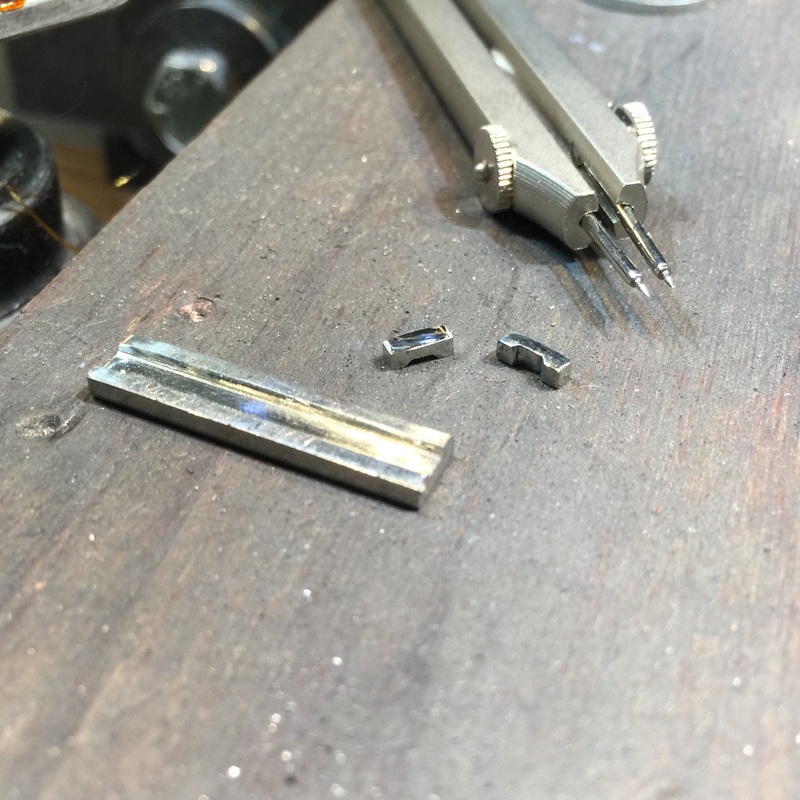 Each lug was cut, filed and polished. The 10 lugs were polished, positioned and laser welded in place. I drilled a hole in the rim for each tension rod and laser welded the 20 gauge wire into place for a crisp, tight appearance. Thanks Steve, and keep on drumming. ← Beautifully simple halo engagement ring. Totally elegant.